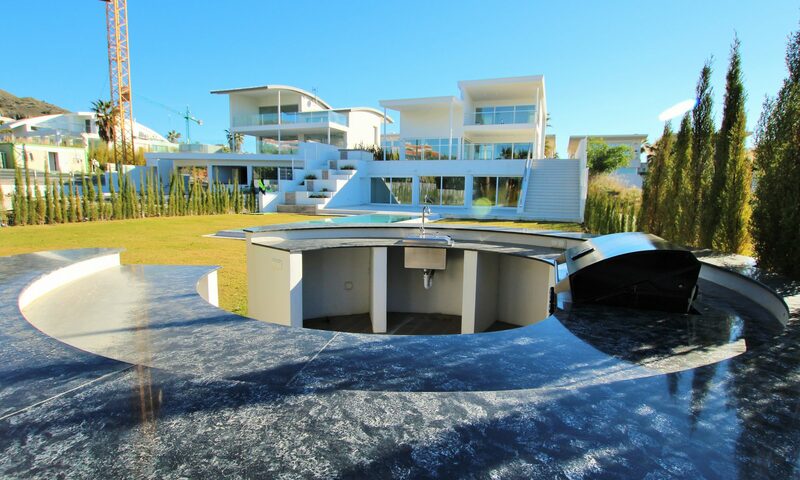 A newly built, magnificent contemporary villa located in the prestigious Reserva del Higueron complex, Benalmedena. Built on three levels and comprising of four bedrooms, three bathrooms, a WC and huge terraces. The main living area is on the middle floor, there are high ceilings, a modern open plan fully fitted kitchen, a feature aquarium with lighting which creates a sunrise and sunset theme, floor to ceiling windows giving lots of natural light and underfloor heating through out including the terraces. There is an elegant staircase that takes you up to the master bedroom suite which has a large terrace and nice views over Fuengirola and the sea. On the ground floor there is a large home cinema room with neon lighting and a small kitchen area, a double garage with a glass partition and three spacious bedrooms which lead out onto the garden. 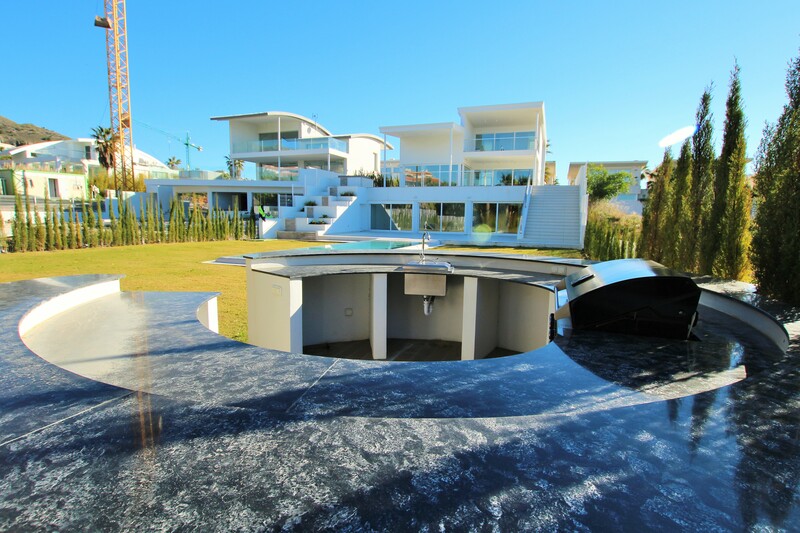 In the garden there is a pool with a beach entrance, a waterfall, a bar with a barbecue, a tree lined shower, solar panels and direct access through a gate and into the park. At night the pool and waterfall come alive with an amazing lighting system, an amazing place to entertain your guests. There are plans to have a glass mezzanine with a bodega installed as an option if one desires. There are superb facilities in El Higueron resort, with tennis and padel courts, a hotel, spa and gymnasium. The shops and beach are just a five minutes drive and there is direct access to the highway, Malaga is a fifteen minutes drive and Fuengirola is less than ten minutes. This is a true dream home!